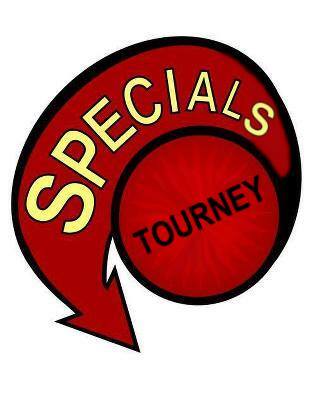 Join host Michael Adcock for the weekly Specials 3-strike tournament. Starts at 9pm. No buy-in or pot: opponent pays for winner’s game at conclusion of each game. (Maximum cost $1.50, not counting coin drop.) No IFPA points. Small prizes (donated by players) usually happen for the top winners. Play with some of the Specials from the Monday Night Pinball league in this low-stress, low-key, low-cost tourney!